Many individuals who own and operate factories understand the importance of having to have an enclosure, free of debris and pollutants, where the employers & employees can stop into every now now and then to avoid inhaling and ingesting much of the particulars which the factory machines are constantly shedding. Most factories will run both day & night and non stop for several months before systems are brought to a complete halt for safety inspections to take place and for proffesional cleaning services to perform thorough clean ups and wash aways. More often , than not , those down times only last for one day before the machines are all back up and running again & spilling pollutants into the air. Common sense & Occupational Safety & Health protocols insure that the proper attire and filter masks are worn by all employees while they are exposed to the factory floors but many employees can often at times put in 12 hours in a row working their shifts for six days a week. Considering the excessive amount of time that employees are exposed to these pollutants – even proper dress acquire is often not enough to make sure that they remain safe and healthy. In many cases a separate break room , doubling as a control room ( for those not needed on the floor and not wearing protective gear ) , is necessary for the factory employers and the employees to find temporary respite , on and off , throughout the work day. The modern , modular Cleanroom was invented by an American Physicist named “Willis Whitfield’ during the nineteen sixties. 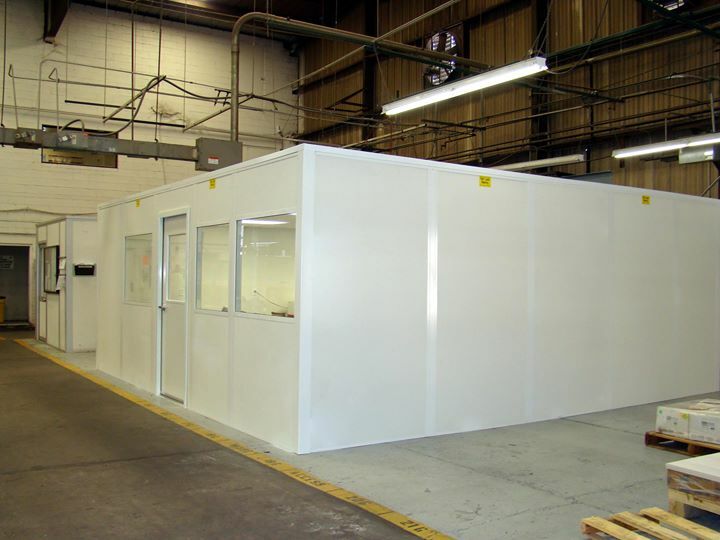 These Cleanrooms were designed with sophisticated air flow systems and thoroughly insulated doors and windows making the “ room within a building “ a safe and clean enclosure for employees to retire to , on and off , for breaks or filling out paperwork. These Cleanrooms, as well as non-metallic prefabricated cleanrooms and the Class 1,000 cleanroom can also be necessary for storing sensitive products , commonly used in the factory , which also were not ( entirely ) vulnerable to the loose debris floating in the air as result of machine production. As with most obscure products in current times the best place to find cheap quality materials such as wall ventilation systems and materials for assembling pre fabricated & non metallic , modular , cleanrooms is online where you can find many good prices , a winde range of products & accessories , and helpful advice for constructing both ISO 6 and ISO 7 , Class 1,000 cleanroom , modular cleanrooms and even quality metalic materials for building sound mezzanines. I can confirm the amount of “ plastic dust “ that I had to go and sweep of machinery. I was not initially supplied with a ventilation mask but quickly asked for , received , and place one over my mouth before continuing on with that first work day on temp assignment from a staffing agency. The plastics manufacture I worked for housed a cleanroom in the area in which I had to sweep on a daily basis during my assignment. Not only was that cleanroom a great relief to be able to take my mask off in every once in awhile but it also stood base for our supervisors who were glued to paperwork , filing , and data input all day long which would be extremely unhealthy to do within the factory outside of the contained separate room. As plastic factory workers are subject are subject to various pulmonary diseases , after long term exposure , so are plastic factory workers whose companies insist on still using fiber glass coated plastic. Fiber glass not only places lungs in jeopardy however but many various skin diseases can result from over exposure to the glass grainials which can dig into the flesh resulting in dermatitis. On the 24th of April 2013 an outsourced clothing factory had collapsed in Savar killing 1,129 workers and maiming another approximate 2,500 plus laborers. Many families were stricken with grief and angry with the corporations for not attempting standard inspections on the building and reinforcing frame work which was weakening. Had those discount retail coporations at least invested in a cleanroom it may have saved the more skilled office supervisors for future enterprise in Savar. Not counting the number of marketable staff whom were completely murdered in the collapse we have to consider the good number whom were simply handi capped for life and now, instead of being a future asset to American retail corporations, those skilled laborers are a dead weight on the society around them as beggars and mendicants.